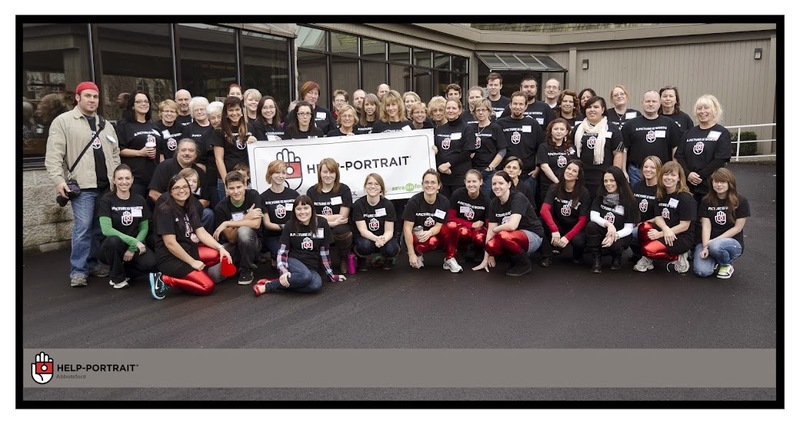 Help-Portrait is a community of photographers, makeup artists, hair stylists, photo editors, and other volunteers coming together across the world to use their skills to give back to their local communities. Some of our volunteers from 2012...missing a few! I think that adding all that art stuff would create a bit too much mayhem plus mess. Last year we had trouble with one big paper and felts for the kids as it was. Secondly I agree that this is pretty late coming because we will have to adjust our print goal if we wanted to provide two prints, and if they would like us to be able to share photos of any kind, they will have to provide their own model release for everyone to use. I also agree that handing your camera to someone would take away from the "professional session" experience, however, I can see this working well with the candid photographers we will have around. Thinking a "photo booth" type thing might also be along these lines. I think a "photo booth" might be a good idea. I read the comments in regards to the blog post and it seems that most people don't like the ideas proposed, especially coming at this late date.